The Dashboard contains mini boards or widgets which contains different information, links or activities to help you get the most of out Tanda. 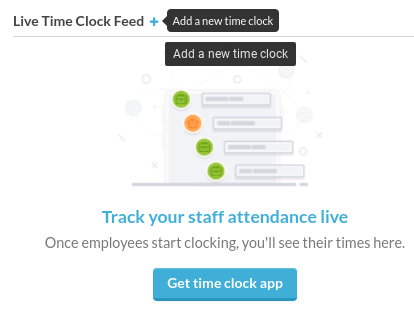 The Live Time Clock Feed and Who's in Today widgets are a great way to quickly see Staff Attendance for the day! All users will be able to see both widgets in Tanda, however Team Managers will only be able to see Teams that they are responsible for. You can also use the blue plus icon in the future to add more Time Clocks. To change your selection just click All Time Clocks again and select another Time Clock or All. If an employee has just clocked-in/out and you're not seeing it here, the Time Clock might be Offline. You can check the widget called Our Time Clocks to see it's status and then use the following article to troubleshoot. 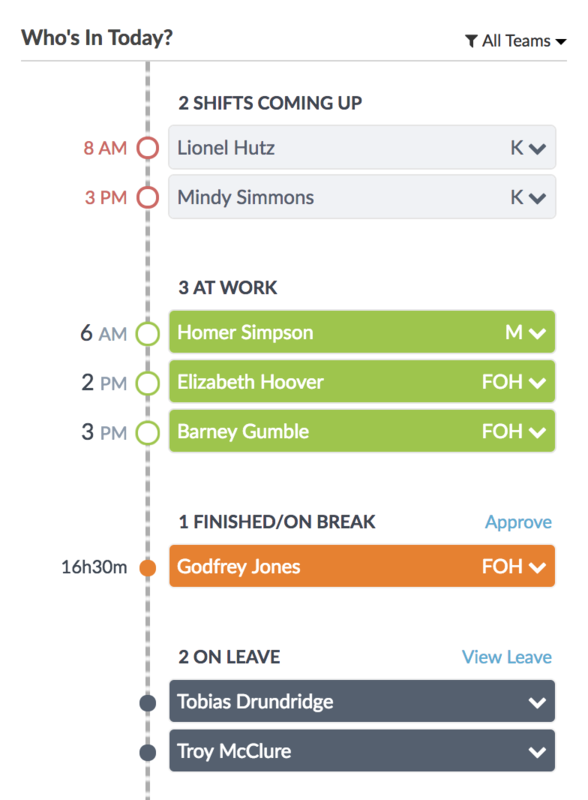 Staff that are rostered to work, have clocked in or are on Leave will show in this widget to act as a run-sheet of sorts for Managers. Quick link to the Current Roster next to the heading title. 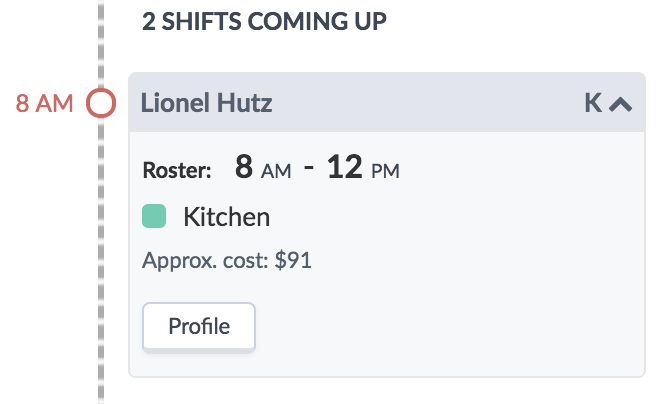 This allows you to quickly make changes to the roster for the day if things change. You can click the All Teams drop-down on the far right to filter this information to specific Teams. Team Managers will only view Teams they are responsible for. Staff will continue to move status throughout the day, eventually with everyone under Full Shift if they have appropriately clocked out.